Don't be fooled by the price, these gilt plated awards are truly stunning. They feature a finely detailed globe, with a gold plated finish, set on a solid wood base with a gold plated engraving plaque. They stand just over 7in tall (180mm) and are reassuringly weighty in the hand. 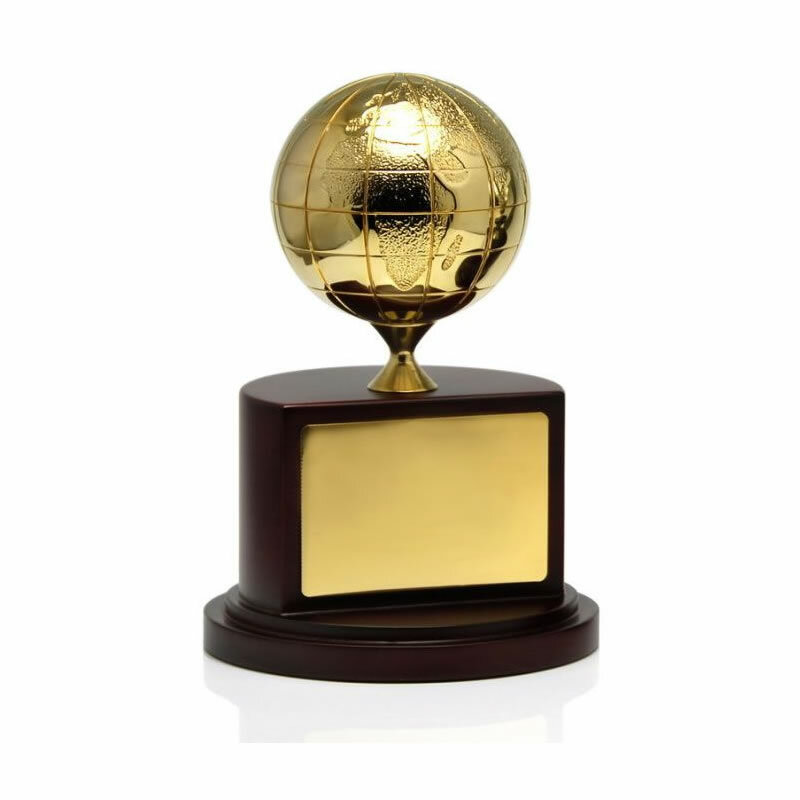 Offered at an exceptionally low price for such a quality item, these trophies will grace any awards event or presentation. They are supplied with low, fixed-cost text engraving and free logo engraving along with low fixed price UK delivery.